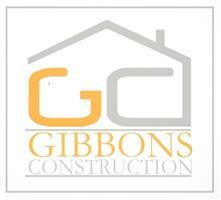 Gibbons Construction Ltd - Builder, Roofer based in Ruislip, Greater London. was founded in 1991, with the founder Steve Gibbons now having over 30 years of experience in the construction and building industry. Since then the company has broadened its skill-base and expanded its client base by keeping a firm grip on quality and reliability. There is no job too big or too small for us here at Gibbons Construction! We specialise in extensions of all sizes, loft conversions and property refurbishment; though we also carry out all aspects of ground work, brickwork, roofing, plumbing, plastering, carpentry and decorating. Basically, the whole package! We deal with every customer in a friendly, professional manner from the beginning to the end of any project. We carry out consistent work for high-end architects and references are available upon request.